Even tough I don't like old hunks but I think I should post about this hunky!. 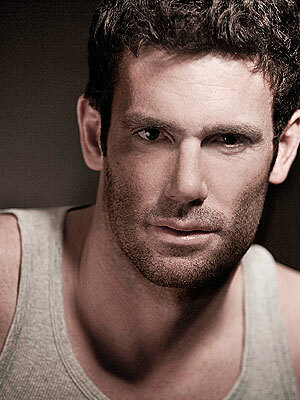 Bernie Paz is an actor from Peru, he was born in Lima Peru. Not like others famous actor fate, Bernie who had real name Bernardo Paz, didn't have any interest to enter Entertainment world in the beginning. His childhood ambition is to becoming Diplomat and already been study Political Science and Hebrew language in a University in Israel. He rose to fame after staring a Telenovela Title "Tierra de Passiones" along with the new Telenovela Queen from Venezuela Gabriela Spanic. In 2011 Both Actors also meet in new drama series called "Emperatris". Bernie now resides in Miami, Florida. He married to Shirley Bulge, an actress and TV Host from his country Peru, both had a daughter Name Miranda Paz. Check this "old but hot" hunk picture below. Alexandre Slaviero : a Slave For You!